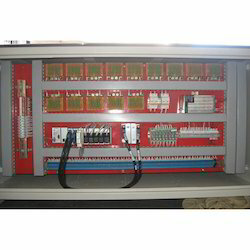 Our range of products include control panel with pac for paper plant automation. We offer complete Control Panel with PAC for Paper Plant Automation solutions to our valuable customers. These services are designed and developed by studying the paper plant automation plants and hence finding out the problem and requirement of these plants that should be solved. These solutions are designed under the supervision of highly experienced experts who have vast experience in these fields. These services offer control panels that are used in paper plant automations are equipped with high quality PAC. We offer complete training on installed systems, including basic troubleshooting, which are highly appreciated by our valuable customers. These services are offered at standard market prices. We offer an optimum quality after sales services that are highly acknowledged by our valuable customers. We offer these services as per the specifications are requirement of our valuable customers. Looking for Control Panel with PAC for Paper Plant Automation ?